WE PROVIDE A FULL RANGE OF SERVICES, COVERING ALL COMPONENTS OF A PRODUCT’S LIFE CYCLE. Our services span nationally and internationally, with expertise in development, regulatory, and market access. Our ultimate aim is to help clients maximize the value of their product or device’s life cycle amid a constantly evolving regulatory and market access environment. 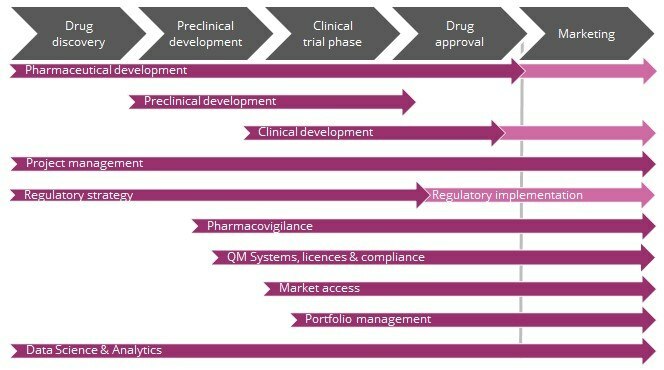 By developing innovative, tailored, and cost effective strategies, we help clients achieve milestones in regulatory approval and market access.